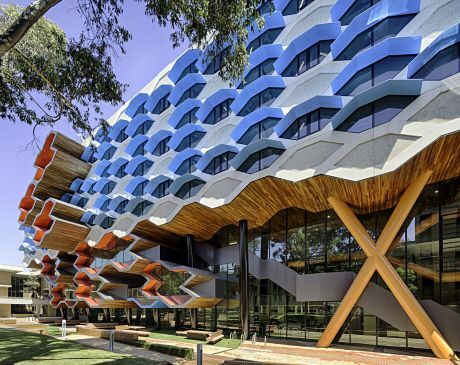 La Trobe University alumni are present in almost every facet of Australian public life, with the political sphere no exception. 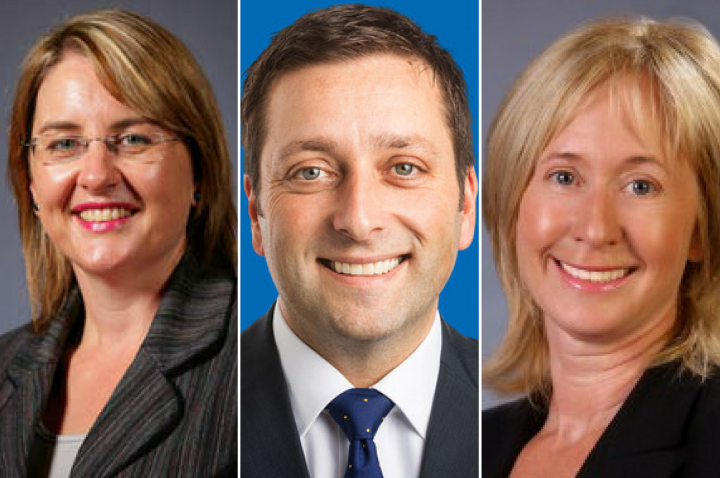 Pictured from left: Hon Jacinta Allen MP, Hon Matthew Guy MP and Bronwyn Halfpenny MP. Many La Trobe graduates have moved on to the public sector and politics, determined to lead change on a local, state or national level. To acknowledge this rich history, the University will launch a Government and Parliamentary Alumni Network on 6 March at Parliament House in Melbourne. All La Trobe alumni working in the public sector are invited to join the network. Below are five of the many members of La Trobe’s alumni community who have made a mark in state and federal politics. Jacinta Allan is a proud alumnus of La Trobe’s Bendigo Campus, where she completed a Bachelor of Arts in 1995. She was elected as the Member for Bendigo East in 1999 at the age of 25, making her the youngest woman ever to be elected to the Victorian Parliament. Jacinta is currently Minister for Public Transport and Minister for Major Projects in the Victorian Labor Government. Matthew Guy is the leader of the Victorian Liberal Party. He holds a Bachelor of Arts from La Trobe, majoring in politics and history, which he received in 1995. Before his election to parliament in 2006, Matthew cut his political teeth in several roles, including ministerial adviser to Victorian Premier Jeff Kennett and Chief of Staff to former Opposition Leader Denis Napthine. Bronwyn Halfpenny is the Victorian Member for Thomastown. She graduated with a Bachelor of Economics from La Trobe in 1987. Bronwyn had a career in the union before entering parliament, holding senior positions in the Australian Manufacturing Workers Union and the Victorian Trades Hall Council. Andrew Robb is the former Australian Minister for Trade and Investment, having retired from federal politics in 2016. He holds a Bachelor of Economics from La Trobe and is a member of the Class of 1976. As a key Liberal Party strategist, Andrew played a pivotal role in the 1996 federal election which saw the Coalition end 13 years of Labor government. Greg Barber is the leader of the Victorian Greens. He received a Bachelor of Science from La Trobe in 1990, and credits the University's Wildlife Sanctuary for fostering his love of environmental science. He began his political career in local politics after being elected to Yarra City Council in 2002, and became Australia’s first Green Mayor the following year. He entered State Parliament in 2010 as Member for the Northern Metropolitan region.